Developing a small business website can be a time-consuming and sometimes downright frustrating experience. The process usually starts by asking the people in your immediate circle if they can recommend someone to help. These leads to introductions to friends, family and colleagues that might do website design on the side as part of a freelance practice or perhaps hobby. While these people are always eager to help and usually have the best intentions going in, they almost always fall short and end up getting hung on something; delaying the development of the website. This is not only time consuming but also demoralizing as the small business owner starts to lose momentum and usually just gives up. Leaving them with either a dull web presence or none at all. To avoid this, many small business owners take matters into their own hands. Designing a website yourself can be challenging. But with the right solutions and tools, it can be a fun and fulfilling experience. So, where do you begin? The first step is researching a Content Management System or CMS. The CMS will be the shelf and shell that holds and presents your website content, including pages, blog posts and the like. The most effective (and affordable) Content Management System on the market today is WordPress. WordPress is not only easy to learn and use; it also very search engine friendly and displays nicely on a mobile device. Using WordPress to develop a website will require a few hours of learning and tinkering but the end result will be complete control of your website and that is empowering. WordPress comes with several design options. WordPress uses themes to create the look and feel for your website. It helps frame and layout the content you enter. There are two kinds of themes. The basic kind that comes free when installing WordPress and the premium kind that run anywhere between $40 – $120. Most small business will fork out the extra money for a premium theme simply because it eliminates the “cookie-cutter” format and allows for increased customization to help make your small business website look clean, professional and trustworthy. The money invested in a premium theme will be far less than paying a freelance designer or website design firm. Even if you decide to hire a agency or website design shop to develop your WordPress website, the costs associated will be much less than if they develop the website from scratch. In fact, most Web design companies will prefer to use WordPress anyway and will be able to quickly customize your website; shaving weeks of the timing to launch the new site. Feel free to Goggle “WordPress” or “WordPress Website Design” and poke around to learn more about your options. These days, WordPress web development has turned out to be a crucial need among the business owners because this platform serves more purpose than being a blogging tool. There are various mediums to make an online store available to the potential customers. But, any medium cannot be as convenient as WordPress is, because it offers an opportunity to the organizations to build a custom website with striking themes. The presence of pre-set designs reduces the hardships of coding, layout and design. In addition, it saves a wide portion of the estimates budget that has been set to spend on the advertising. WordPress web development seems a suitable option for both optimization and navigation purposes. And, it provides better results under the guidance of a professional developer. WordPress has become an interface of choice for webmasters to create responsive customized websites. It allows creating a feature rich website even without any deep knowhow of complex HTML or CSS programming. Apart from user friendliness its main solid demand as a preferred website design platform has been the availability of diverse plug-ins that allows added functionality to a website like analyzing and optimizing a website for SEO, making a website mobile friendly, automatic generation of website sitemap and many other functions. However discretion is needed in choosing WordPress website design plug-ins as some plug-ins heavily slow down the website. Developed by Joost de Valk, Yoast is a great WordPress plug-in that allows for website to be search engine friendly. This plug-in allows for auto creation of a website’s sitemap, editing of robot.txt, easily SEO optimize the website’s Meta title, Meta description, content and images attributes. 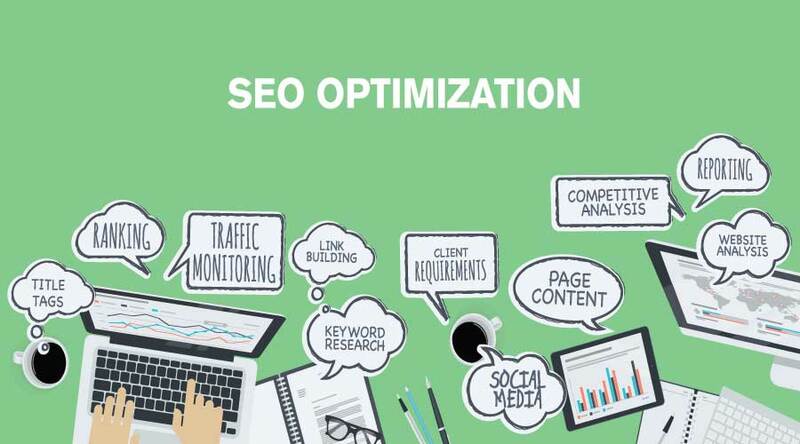 It gives suggestion to make a website SEO optimized for various customized keywords which is very handy feature in targeting a website for rank in search engines. It also allows setting correct canonical tag for multiple version of a web page to point to the correct version of a web page to search engines. Developed by Alin Marcu, it allows to easily monitor the WordPress website traffic and analyze the visitor of the website page, examine click through rate and to show the stats on the blog itself. Another wonderful feature is the integration of Google Analytics and Google AdSense which allows monitoring and improving the website performance. This WordPress website design plug-in developed by Takayuki Miyoshi allows creation of contact forms for website visitors. It allows to receive queries from visitors and to easily filter spam messages. Flamingo plug-in is to be used in tandem to Contact Form 7 WordPress plugin, which allows the messages, submitted through contact form to be easily saved into a database. This allows for easy record and retrieval of visitors messages. How catchy is you website? How many visitors does it get on a daily basis? What feedback do you get from your readers? These questions help you know if you need a change in regards to your website. If you have a successful business, then you must have a website for your company. In today’s business world, it has become a must-have and more people are becoming used to going online to find just about anything they need. However, having a website is not enough; it needs maintenance and always kept updated to beat the growing number of competitors online. Redesigning works for most company websites that do not seem to create any presence online due to their information or presentation in general. Belo are some reasons why you need to redesign your company website. IT experts are recommending companies to adopt the new ways of climbing up the ranks in the search hits; keywords. However, these keywords should flow with your data and be relevant to your company or else, you may be penalized for using keywords with a sole purpose of climbing up the rank in the search results. Redesigning using this trick will make the content more applicable for search engine optimization. With a higher rank, you automatically get more readers. When was the last time you updated your data? This is one mistake most companies make when they create a website; lack of proper maintenance. You may not notice it, but to the readers, the site looks outdated and dormant. Some sites have too much information that it takes a white to access their information white other have unnecessary flash application and images hat kills its professional appear. Everyone knows how irritating it can be to access a website that takes its time to load and hence shift to other sites that are way faster. Redesigning will give you a chance to improve all these areas as you inform your readers on any new developments your company many have. Just like you, websites tend to age with time. Their average lifespan is about 3 years. How old is yours? Just by looking at your competitors’ websites, you will know if your site needs to be redesigned. Include modern applications, better images, unique website design new and more relevant information to capture the readers eyes.